MALAYBALAY CITY (Bukidnon News/25 October) Higaonon tribal leader Amay Mantangkilan Cumatang is the first Asian to win the Darryl Posey Fellowship Award from the International Society of Ethnobiology, Dr. Mary Stockdale, society co-chair said Wednesday. Stockdale represented the ISE in the local reenactment of the awarding of the fellowship to Cumatang, who she described to have possessed “wisdom” and “courage” as his most distinct traits. “With climate change occurring due to forest loss and degradation, everyone in the world owes a debt to heroes like Amay (Cumatang) who are standing on the frontline, defending the remaining stands of forest,” she added. Stockdale cited that Cumatang has often done his in the face of great danger to his own life and to the lives of his loved ones. “Even now, his life is not secure in the place where he lives,” she said. “In his hands-on forest stewardship, Amay ensures that indigenous ‘best practices’ in resource management are observed and as a forest person, he constantly monitors the possible impacts of the harvesting of rattan and other NTFPs (non-timber forest products) on the forest ecosystem, she added. In 2009, she added, Amay was one of the few who remained strong against the threat of large scale logging in the Agusan side of Mt. Kimangkil. Cumatang was reported to have called for an emergency meeting and managed to convince other leaders to withdraw their consent. “Other threats, which he has effectively opposed, together with other members of his tribe, were mining and oil palm plantations and any other schemes which would affect the particularly diverse forest that he is trying to protect,” she added. She said the ISE also noted that Cumatang has not failed in his decades-long commitment to preserve the forest, especially their sacred sanctuaries or ‘patagonans’. But Cumatang’s family and supporters cited that it took the international community to notice his deeds first. “There was no recognition of his efforts at the local scene (before the Posey fellowship),” Benny Cumatang told this reporter. The elder Cumatang cited the danger he faced but said in his Binukid response that they continue to pursue their work despite that. He also admitted that they continue to face the threats of logging and mining operations, along with plantation projects. “We were able to address some of the concerns, but some remained. We wanted to use sala (indigenous justice system), but it cannot be done right away, it is hard,” said the younger Cumatang, the datu’s nephew who translated his response to English. He traveled with the datu to France as his interpreter. 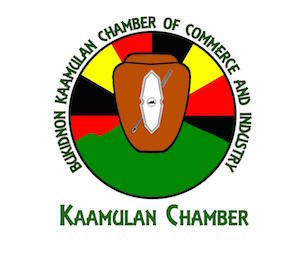 The datu expressed keen concern on the reception of the youth of their tribe’s customs and tradition and said it continues to be a challenge for the community. Cumatang received the award on May 21, 2012 in Montpellier, France during the 2012 ISE Congress. Stockdale said there was a financial support component of the fellowship but refused to reveal the figures. She said they are using it to support Cumatang’s projects, which are being administered by the Fr. Vincent Cullen Tulugan Learning Development Center. “Through this award, the ISE offers to support Amay in any projects or activities he would like to undertake that protect the forest, or support the livelihoods of his people,” she added. Stockdale cited initial work done to include delineating the boundaries of the patagonans or sacred forests of several communities, conducting forest patrols with youth to teach them about the forest and how to protect it, and developing rice paddies. She cited that the award goes to the Higanons, not only to Cumatang as he could have not done it alone. Leaders of Agtulawon Mintapod Higaonon Cumadon (AGMIHICU), where Cumatang is the head, cited that the Certificate of Ancestral Domain Title (CADT) awarded to them in 2008 for the 14,313-hectare ancestral domain 13 villages in Impasug-ong and Malitbog towns is a legal recognition that they own the area. But the title, alone, will not bring in development. Ruth Canlas, coordinator of the Non-timber Forest Products Task Force (NTFP-TF), the group who nominated Cumatang to the fellowship cited that with the CADT is the work needed in the Ancestral Domain Sustainable Development and Protection Plan (ADSDPP). “That’s where the government needs to flow in more support,” she added. She also cited that even if Cumatang was recognized for his work, peace and security issues continue to haunt his people. “A lot of combatants are caught in the crossfire,” she said. CONGRATULATION AMAY MANTANGKILAN AND TO HIGAUNONS! I am so very proud of you Amba Mantangkilan! People like you are the reason why I am proud to be a Higaonon. Salamat Amba! Wow! Really proud of Amba Mantangkilan! “…local awarding was supposed to be a week-long activity but was cut down to one day because of the security concern.” what is this? why such a noble undertaking has to be threatened? 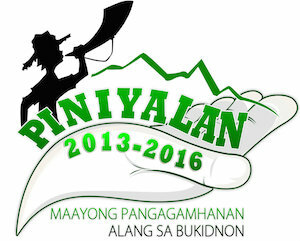 The future of our bukidnon is at stake here and yet some personalities are threatening Cumatang? Remember that the world is watching us!